BW2: Terry Fox Charity Drive! Tags: bw2, charity, terry fox, 2018. In 1980, Terry Fox set out on the Marathon of Hope to raise money for cancer research. To commemorate his efforts, we're running a Terry Fox Charity Drive. Until Noon PDT on Wednesday September 19th, you can buy Charity Marathon Waters to restore your energy. All of our proceeds here at Codename Entertainment from those sales will be donated to the Terry Fox Foundation, which maintains the vision and principles of Terry Fox, and continues to be a leading national investor in cancer research. You can learn more about the charity here. Tags: bw2, tribute, hawking, charity, als. In honor of Stephen Hawking's recent passing, we're running an ALS Charity drive this weekend. Until Noon PDT on Monday April 9th, you can buy a unique pet in one of three different packs. All of Codename's share of the proceeds will be donated to ALS Canada, a charity dedicated to supporting Canadians living with ALS and investing in research to make ALS a treatable, not terminal, disease. At the same time, there's a visitor in the Commons that needs your help with their limited time quest! BW2: Remembrance Day Charity Drive! Tags: bw2, charity, war amps, 2017, november, remembrance. November 11th is Remembrance Day, which marks the date when armies stopped fighting in World War I, and is when we take time to remember the men and women who have served, and continue to serve during times of war, conflict and peace. This weekend, we'd like to raise money for the Canadian War Amps, a Canadian registered nonprofit organization, established in 1918 to meet the needs of war amputees. Read more about the War Amps here. So, for the next few days you can buy Poppy Cupcakes, of which 100% of our proceeds will be donated directly to the Canadian War Amps. Talk to the veteran in the Commons by the Town Hall to learn more about the opportunity. The Poppy Cupcakes will be available to purchase until Monday November 13th at Noon PST. Thank you in advance to those of you who donate to this cause. Tags: bw2, charity, 2017, results, coffee, alzheimer. We'd like to extend a big thank you to all the players who bought Charity Coffees this past Alzheimer's charity drive. In just 48 hours, from noon on September 25th to noon on September 27th, we were able to raise over $1000 USD for the Alzheimer's Coffee Break Charity. Give yourselves a pat on the back! To learn more about how to help the Alzheimer Society of Canada, click here. Tags: bw2, charity drive, may 2017, FM. May 12th is International Awareness Day, and we've chosen to support the ME/FM Society of BC, a not-for-profit organization that was formed to help and support people, and their families, living with the health conditions Myalgic Encephalomyelitis (ME), also known as Chronic Fatigue Syndrome (CFS), and/or Fibromyalgia (FM). So, for the next three days you can buy Butterfly Charity Cookie packs in the game, from which 100% of Codename's proceeds will be donated directly to the ME/FM Society of BC. Talk to the person in the Commons by the Town Hall to learn more. The cookie packs will be on sale until Monday May 15th at Noon PDT. Thank you for your time and generosity! Tags: bw2, charity, girl scouts. March 12th marked the founding of first Girl Scout troop in the USA. We figure this is a good time to raise money for a great organization, the Girl Guides of Canada. This organization enables girls to be confident, resourceful and courageous, and to make a difference in the world. So, for the next two days you can buy Boxes of Girl Guide Cookies, of which 100% of our [Codename] proceeds will be donated directly to the Girl Guides of Canada. Talk to the girl guide troop in the Commons by the Town Hall to learn more. The cookie energy boxes will be on sale until Wednesday March 15th at Noon PDT. Tags: jingle, jam, 2016, charity, steam, dlc, legendary, simon, lane, honeydew, dwarf. We are delighted to announce that Crusaders of the Lost Idols has been included in the Yogscast Jingle Jam 2016 Humble Bundle. For the whole month of December, the Yogscast team have organized to give away 31 Steam games and DLC add-ons as part of their annual Jingle Jam event with all the proceeds going directly to charity! The first 75,000 people to donate $30 or more will get all 31 games, including our very own Legendary DLC pack for Crusaders of the Lost Idols. 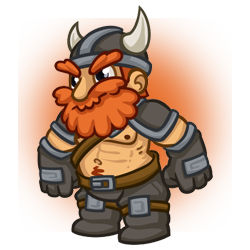 To celebrate we've also created a special boss monster, Honeydew the Dwarf. 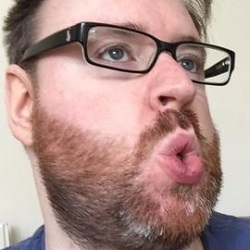 For those of you unfamiliar with Honeydew, he is based on Yogscast celebrity and long-standing YouTuber Simon Lane. Honeydew can be found in the Amusement Park of Doom campaign. You'll find Honeydew starting at area 40, and he'll appear every 100 areas from then on. Please help support a great cause and, of course, enjoy the hilarious shenanigans from the Yogscast team this holiday period. You can watch the festivities live on Twitch here, and you should check out all their YouTube channels by going here.